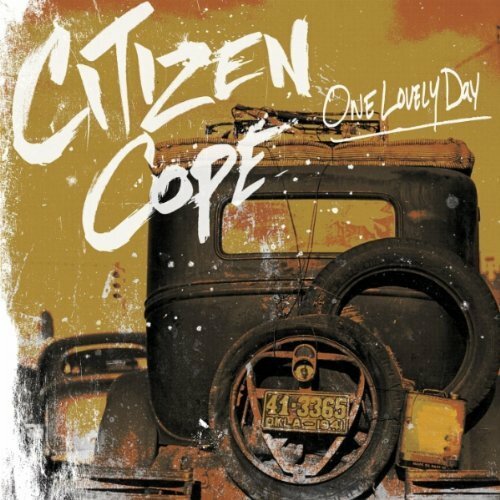 Today marks the release of the new album from Brooklyn based Citizen Cope. One Lovely Day is one of those records that you put on and just fall in love with. I was all set to sit down and write a "review." I listened to it several times before I came to the realization that I couldn't put into words why I like this record. I'm listening as I type and the words still escape me. So, I give to you my review... One Lovely Day is simply a beautiful piece of work and I like it. Cope will be embarking on a Summer/Fall headlining tour beginning June 24. And while it's not listed among the dates below, he will be making a hometown stop. New York, head on up to the Beacon Theater on November 3 and show your love. For over a decade, Citizen Cope (Clarence Greenwood) has been building a profoundly dedicated following, tirelessly bringing his urban folk-with a band or simply his guitar- to far corners of the US and beyond. Recorded in Brooklyn and written/produced by Cope, the sounds on One Lovely Day are Southern rural, big sky lonely, concrete urban, and painfully romantic. Video of the Day: Lunic - "Far Away"